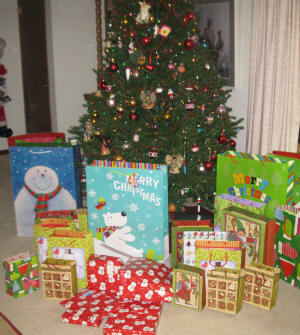 December 2012 -- Christmas for a dozen Fond du Lac children will be a brighter event as the Fond du Lac Evening Lions and Fond du Lac Lioness Clubs supplied toys for twelve children who might not have had the Christmas that most children have. 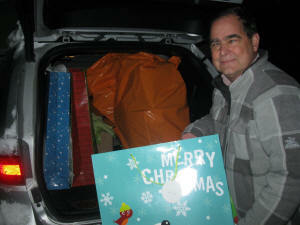 The two clubs teamed up with the Angel Network in Fond du Lac and supplied presents at a Christmas gathering. 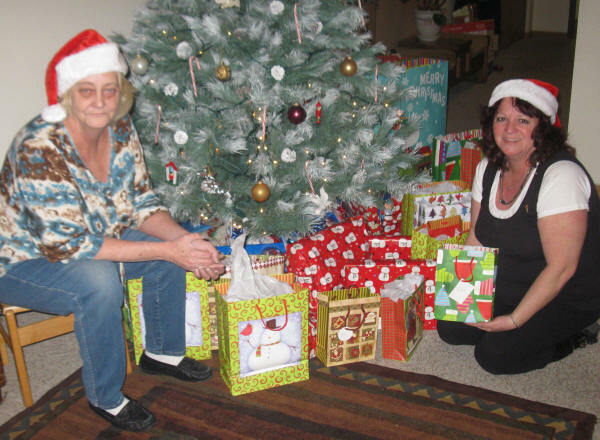 Pictured are Charlett Bickley, founder of the Angel Network and Laurie Kleiber, a volunteer.